Maritzburg United were unable to end the year the way they had hoped for after going down 2-1 away to Polokwane City in their final game for 2014. Maritzburg had some good early chances, but Thokozani Sekotlong missed the target after being played in by Mondli Cele after five minutes. Shu-Aib Walters then did well to keep the hosts off the score-sheet when he reacted sharply to prevent a Kwanda Mngonyama own-goal, after a cross from Joseph Musonda. The Team of Choice went on to enjoy several chances to score, but Cole Alexander netted first for the home side on 38 minutes with a volley after finding space in the box. The KZN outfit were unlucky not to receive a second half penalty when Kurt Lentjies' shot appeared to strike Musonda's arm. Mohammed Anas squandered a chance to put United ahead when he failed to get the better of goalkeeper Modiri Marumo in a one-on-one situation. But Anas made no mistake in the 72nd minute when he finished from close range to make it 1-1. Polokwane however still had a goal in them as Puleng Tlolane netted the winner five minutes from time. 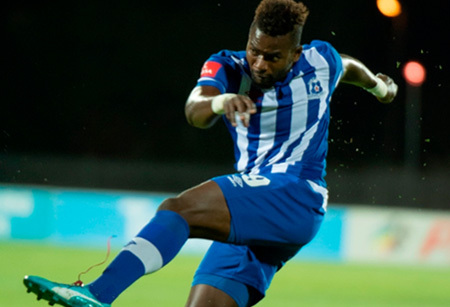 Maritzburg United were unable to end the year the way they had hoped for after going down 2-1 away to Polokwane City in their final game of 2014.